Can Baahubali 2 Emerge As 1st 100 Crore Worldwide Grosser On Day 1? 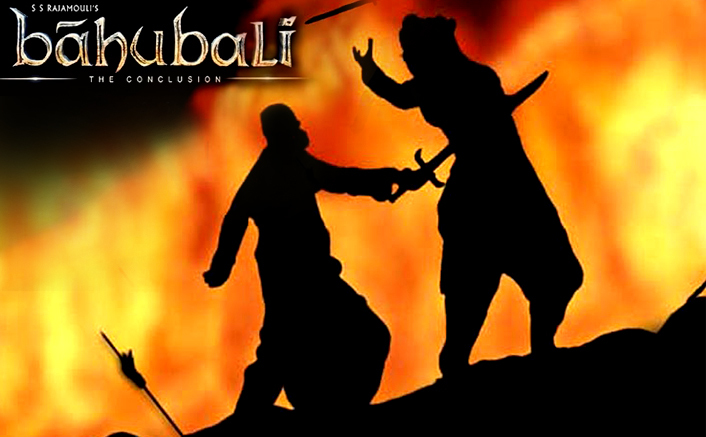 Baahubali: The Conclusion is all set to hit the theatres soon. With the advance bookings of the film on an all time high, trade pundits are expecting huge numbers for the film’s opening day. The sequel has been provided more than 22 shows in a day at major multiplexes which is massive. Also, with no other release lined up for next week, cine goers will have a Baahubali treat for two weeks. The film is releasing this Friday and will enjoy an extended weekend as May 1st will be a public holiday. After Baahubali : The Beginning set a record of collecting 50 crores (gross) on opening day (all versions included), it looks like the sequel will definitely be breaking its record. According to estimates, Baahubali’s Hindi version is expected to take an opening of approximately, 26 crores+ nett (36 crores gross) while the other versions could fetch around 37 crores nett (44 croes gross) at the domestic box office. Tamil and Telugu versions are certainly bound to score high since the advance booking reports showing majority of housefull boards is a clear sign. Since the film has a huge 9000 screen count, out of which almost 1100 screens in USA and 1400 screens around the rest of the globe, the collections from overseas circuits could range upto 22 crores gross. If the film manages to achieve this feat, it will collect 102 crores worldwide and become the first film to do so on its first day itself. The fan following for Baahubali franchise is huge and with the suspense of over two years, finally the mystery about ‘Why Katappa Killed Baahubali?’ will be solved. Expectations are high this time compared to the first one which picked up more after positive word of mouth. Helmed by S S Rajamouli, Baahubali 2: The Conclusion stars Prabhas, Rana Daggubati, Anushka Shetty, Ramya Krishnan, Sathyaraj, Tamannah Bhatia in lead roles. It is all set to take box office by storm on 28th April, 2017! The post Can Baahubali 2 Emerge As 1st 100 Crore Worldwide Grosser On Day 1? appeared first on Koimoi. Baahubali 2 (Hindi) Becomes 5th Highest Grosser Of 2017 On Day 1 Itself!